I am an American psychotherapist, as well as an art therapist, in private practice in Grenoble where I work with adults, children of all ages, adolescents and couples. Trained in post-graduate studies at the New York School for Psychoanalytic Psychotherapy, I received an MA in art therapy at New York University. 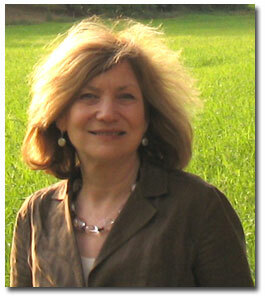 I hold current New York State licenses in Psychoanalysis and Creative Arts Therapy. The kinds of difficulties that usually bring people to therapy include: anxiety and depression, life transitions or crises including divorce, medical illness and loss, self-destructive patterns, stress, trauma, career decisions, adaptation to life in a new country, parenting consultation, creative blocks, eating disorders, relationship difficulties, parenting issues, chronic feelings of emptiness or loneliness and life-disrupting symptoms associated with physical or sexual abuse. Most adults coming to my practice usually choose psychotherapy because they’re more comfortable talking about what is on their minds, but some adults also choose art therapy. Children, however, express themselves more naturally in art therapy or play therapy; adolescents tend to be comfortable with either one, depending upon their personal preference. In addition to my private practice, I am a consultant at the Centre Hospitalier Université (CHU) de Grenoble, Department of Oncology, through the Association AGARO (Association Grenobloise d’Aide à la Recherche en Oncologie), where I provide art therapy services to adult cancer patients, individually and in group. In addition to art therapy serving the purpose of helping people to express something about the ordeal that they’re undergoing, which helps them cope better, they often seek to explore issues related to the effects of illness as it impacts identity, femininity/masculinity and unresolved issues from the past. Before establishing my practice in Grenoble, I worked in New York City and New Jersey, both as a clinical psychotherapist and art therapist and as an adjunct professor at New York University’s MA program in Art Therapy, teaching and supervising graduate students. I have also supervised art therapists and psychotherapists in Italy and Switzerland during the past twenty-five years that I have lived in France. Currently I teach a psychology course in English to psychology students at the Ecole de Psychologues Praticiens in Lyon. I have authored numerous articles about creativity and personal expression through therapy. Tramway stop: Place de Verdun, Line A. My practice includes sliding scale fees for students and those unemployed.